Apple today released an updated version of Shortcuts, introducing support for several new actions related to the Notes app. There are options for Create Note, Append to Note, Find Notes, and Show Notes, all of which can be incorporated into your shortcuts. There's also a new Get Numbers input action for pulling numbers from text, and Get Time Travel includes more details like route name, arrival time, and distance. You can also now tap on the Library tab to get to the bottom of the shortcuts list more quickly. 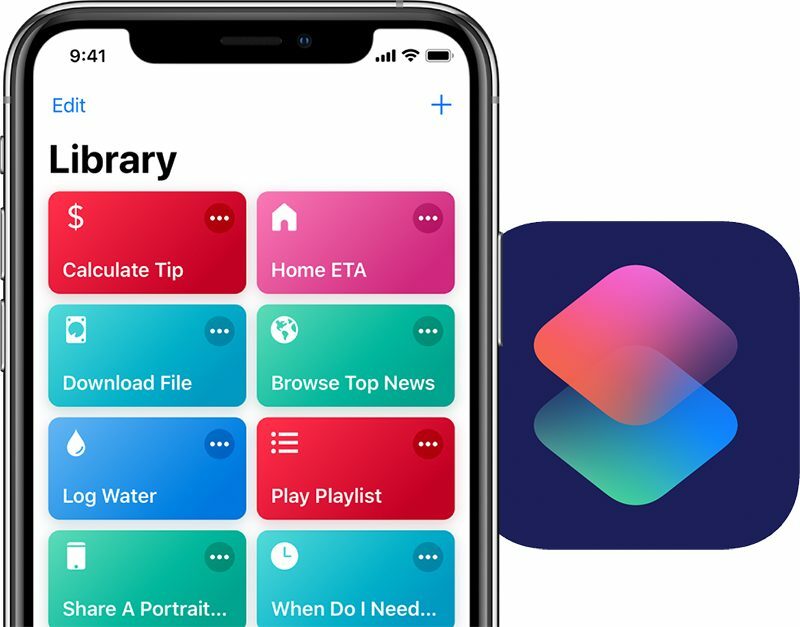 The Shortcuts app, introduced in iOS 12, is designed to allow iOS users to create multi-step shortcuts and automations using both first and third-party apps, with the shortcuts able to be activated using Siri commands. Through Shortcuts, for example, you can create an automation to do something like turn on the thermostat at home using the Nest app, text your roommate that you're on the way with Messages, and open up the Maps app with directions home all with a single "I'm going home" Siri command spoken when leaving work. Have never used the shortcuts app and never will.Have never used Siri either in the 8 years it’s been around. It isn't as if iOS boots up into Shortcuts and you have to use it. I welcome more powerful tools like this in iOS. Just don't download it if it's not for your use case. Also needs an Apple Watch app that allows to run a shortcut by tapping a complication. "Hey Siri, cancel my subscriptions"
It’s an advanced user feature. It’s not for you. Luckily however, you can still benefit from Shortcuts from within apps where developers did the work for you and created their own Shortcuts. All you have to do is tap “Add Shortcut”. Tons of Mac users never used AppleScript or Automator but a good number of those still got to benefit from pre-made scripts and automations. Shortcuts is just the iOS version of that dynamic. Once again Apple releases something potentially amazing and doesn't support it properly. It sounds like you would consider utilising shortcuts if they were beneficial to you, easy to find and easy to implement. I don't think Apple has done a very good job at all at making these easier for 'consumers' of shortcuts. Hence my earlier comment of an App Store showcase. The current library is a mess and full of shortcuts you can achieve manually with an extra tap. Equally for developers, I'd like to see Shortcuts integrated into Xcode or a standalone IDE so we can create them on the Mac. It's PAINFUL dragging and dropping elements when you have built up nested statements and dozens and dozens of actions. Back to end users/consumers, kiosk mode would be awesome. Sure you need the Shortcuts app to gain the utility, but you don't need to see the app running when running your shortcut. A nice kiosk mode for consumers would be great and/or the ability to run shortcuts and use present actions when needed; it's very easy for someone not accustomed to building shortcuts to tap into the shortcut when it is running and break it at the moment. Back to developers: an easy way to upgrade shortcuts and for users to be able to update them. You can do such awesome stuff with these. Here's an example of some I have up and running: shortcut that you can add ALL of your email addresses to and have them checked automagically by Have I Been Pwned (HBIP); shortcut that you can use direct from 1Password to check if that password is in the HBIP Pwned Passwords database (all encrypted and calculated on device) and perhaps the most fun, create and generate a random sweepstake (office pool to the Americans): it's the Women's World Cup this year, enter 24 names into the shortcut and it will randomly generate the sweepstake/office pool for you. This is the level of power shortcuts gave give you, and I don't need to learn Objective C and Swift in order to make great applets.